The history of air conditioning is long, varied, and stretches back further than most people probably realize. Gain a better appreciation of the appliance that cools your home with a look at how it came to be. The history of modern air conditioning originally begins in the 18th century — long before electricity, fans, and compressors were commonly used. William Cullen of the University of Glasgow begins to demonstrate the concept of artificial refrigeration. He does this by boiling ethyl ether into a vacuum. Experiments conducted by Benjamin Franklin and John Hadley of Cambridge University lead to the discovery that evaporation can have a cooling effect. They experiment on alcohol and other liquids that evaporate at rates faster than water. Some of these liquids evaporate at rates that can freeze water nearby. The first refrigeration machine that uses vapor instead of liquid is designed — although never built — by Oliver Evans in America. Inventor Michael Faraday begins experimenting with ammonia and discovers that by evaporating and then condensing and liquefying the ammonia, he gets the same results achieved by Franklin and Hadley. Using Oliver Evans’ plans for a refrigeration machine, Jacob Perkins builds a liquid, closed-cycle compressor — the rudiment of what is used in air conditioning today. Florida physician John Gorrie reveals his air cooling machine. He has created an ice-maker that produces buckets of ice through compression and evaporation — the same methods that power air conditioners. He rigs the buckets of ice that the machine produces to fans that cool the air around them. After President Garfield is shot, Naval engineers build a cooling machine to lower the temperature of the room where he was taken to roughly 20 degrees. They achieve this by blowing air over a box filled with wet cloths. Hot air is blown upward, while cooling air is kept closer to the ground. Willis Carrier invents what he initially calls the Apparatus for Treating Air, which cools by blowing air over cooled coils. 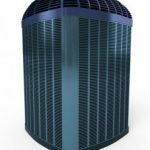 It is designed to both cool and remove humidity from the air. It does so by sending chilled water through the coils. It proves so successful at its debut in the Sackett-Wilhelms Lithographing and Publishing Company that Carrier goes on to establish the Carrier Air Conditioning Company of America. Willis Carrier invents what he calls the centrifugal chiller, a compressor that is meant to reduce the size of his units. Air conditioning comes to movie theaters with its debut at Rivoli Theater in Times Square. The first home window air conditioning units are manufactured and sold by H.H. Schultz and J.Q. Sherman. These retail for between $10,000 and $50,000, making them available only to the truly wealthy. Central air conditioning is introduced. 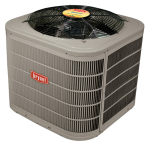 The units are originally made of coils, condensers and fans that blow the cooled air through a house’s vents. The coils are cooled with Freon-12. Scientists discover that Freon is causing ozone depletion. Most air conditioning manufacturers switch to more environmentally friendly coolants. 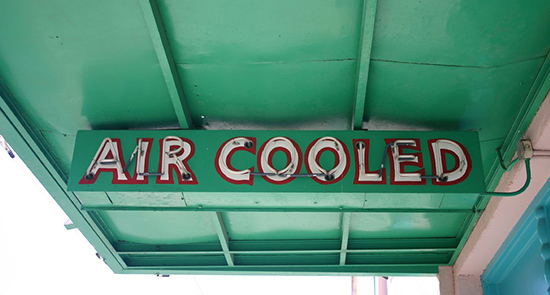 The history of air conditioning may be long and spread out over time, but we can be grateful for its evolution.